Amelie Bonde and Kristen Scudder, were honored tonight as “Students of the Year” at the annual winter meeting of the Transportation Research Board in Washington, DC. 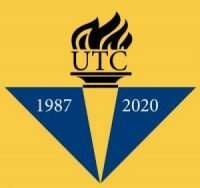 Annually, the United States Department of Transportation honors the most outstanding student from each participating University Transportation Center (UTC) for his/her achievements and promise for future contributions to the transportation field. Students of the year are selected based on their accomplishments in such areas as technical merit and research, academic performance, professionalism, and leadership. Carnegie Mellon University’s Traffic21 Institute houses Mobility21, the National University Transportation Center for Improving Mobility and the T-SET National University Transportation Center for Safety. Students from CMU and University of Pennsylvania were eligible for the T-SET UTC nomination and students from CMU, University of Pennsylvania, The Ohio State University, or Community College of Allegheny County were eligible for the Mobility21 UTC nomination. using vibration sensors installed in a car seat. She is an NSF Graduate Research Fellow with a focus in the area of cyber-physical systems, smart homes and devices. Amelie’s research thesis is on vibration sensors on vehicle seats that can feel the movement of humans in the car. These small movements can allow for the detection of activities the person is engaged in and biometrics such as heart rate and breath rate, with an aim of assessing driver stress and distractedness. Kristen Scudder is pursuing a Master of City and Regional Planning with a concentration in Sustainable Infrastructure and Transportation from the University of Pennsylvania. Prior to graduate school, she received her B.S. in Civil Engineering from the University of Southern California and spent 6 years as a structural engineer and data automation specialist on global infrastructure projects. 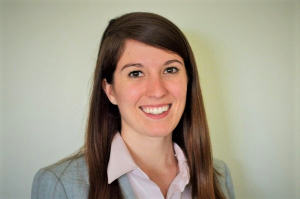 In addition to using eye tracking to perform safe mobility research for Mobility21 Research Director Dr. Ryerson, Kristen serves on the Penn Student Transportation Club board and is a Freight and Aviation Planning Intern at The Delaware Valley Regional Planning Commission. 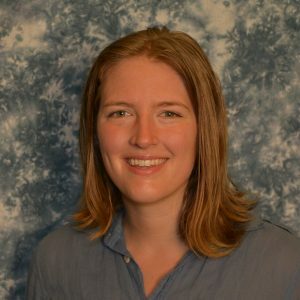 Kristen’s research focuses on planning urban infrastructure, city planners and traffic engineers use aggregate data, such as pedestrian and cyclist flow counts and the number of reported crashes per intersection, to identify critically unsafe locations. By using eye tracking data on how pedestrians and cyclists perceive surrounding infrastructure, street design convention can be expanded beyond relying on pre-set road designs and killed and seriously injured (KSI) as a metric for safety. Educating, recruiting and training new workers is critical to managing our country’s infrastructure safely and efficiently. We strive to help develop a transportation workforce capable of designing and maintaining the complex transportation systems of tomorrow. Help us congratulate our 2018 UTC Students of the Year!